Today in The Lounge we have a SPECIAL guest, CEO of ASID aka The Big Cheese: Randy Fiser. He might not have an interior design background and he isn’t an interior designer but Randy is definitely one of the most influential people in the industry. As always please reach out to us as Nick LOVES to hear from you guys, tell us what you’re doing, what you’d like to hear on the show and ask us questions if you need advice! Secondly, don’t forget to check out Porcelanosa‘s Life Style Magazine either online or order it by mail because guess what, it’s FREE. They feature tons of great commercial/hospitality designers and images. Their 3D rendering service is also FREE so you utilize it guys! Remodel a kitchen or bathroom for your clients. Learn more about it here. Randy was born in Southern California and lived there until he was 11 when he moved to Arizona and finished high school. Later, he went to Georgia for grad school and eventually moved to Washinton DC where he has been ever since. He received his masters in Counseling and Human Development as well as an MBA. Ever since he was little Randy knew he wanted to be in business and work with people to make an impact and leave the world a better place. So, he invested his time in consulting and large scale organizational transformation work. Later Randy’s managing and consulting work were mission driven and soon he transitioned to non-profit work on affordable housing development and education reform. He was a client of Brad Pitt’s to help rebuild New Orleans as well. Randy’s favorite place to vacation is Bali. As long as there is an adventure and he can hike, bike, be active and go to the beach, he’s there. Good food is, of course, important too. Randy lives in a small 700 square foot apartment in DC, space isn’t important to him as he’s never home! BUT it is very well designed and FUNCTIONAL. Canadian designers built the apartments using Universal’s Design Principles so anyone could live in it, such as someone in a wheel chair or someone not in a wheelchair. This is why Randy believes design matters, it took him a year to notice and think about the wide-range functionality in his apartment because it was so well designed. Design can be both beautiful and functional to the point where you don’t notice or think about! If you ask Randy, “beer, wine or a cocktail?”… it’s wine AND a cocktail. Well, it’s never a typical day in the life of Randy but usually, he’s on the road. He meets with members of ASID, attends chapter events, and talks with manufacturers who want to bring their product in front of members. He meets with other associations that represent the surrounding areas of design and construction. He meets with government officials at the state and federal levels.He meets with clients who run companies, healthcare facilities, or who are homeowners. He talks about WHAT designers do and WHY design matters. Design impacts life. Randy informs us that we’re spending 93% of our time indoors now!! So human interaction with the spaces we spend the most time in defines us as human beings and affect our health. Randy does a lot of public speaking on these topics and loves it because it is what he is passionate about. Randy thinks ASID needs to continue pushing this message and furthermore elevate it with case-studies. It’s one thing to tell people that design impacts lives but it’s another thing to prove it. One interesting thing Randy brings up is how we design spaces for people but we never take pictures of the spaces with people in them! Aesthetic is defining design but in reality, design is for functionality and for people, every space has a purpose. If you let beauty take over you dilute what design is all about! In every image of ASID’s new Head Quarters, they have people in it, the goal is to show design intent by putting people within the space who are using it. It’s like clothing, it’s better to photograph it on someone than off, as you get a better idea how the clothing works. Randy believes we need to focus less on luxury, lifestyle, brand, and aesthetics as that’s just consumerism and design is so much more. The hardest part about Randy’s job is the misconception of what designers do, which both motivates and frustrates him. Clients don’t always understand what a designer is doing and often times the design community undersells themselves which is frustrating. This is why Randy travels around to talk about these subjects. People either benefit or hurt from a space which means they can benefit or hurt from designer’s work. The intent of a space can change an entire culture of an organization. Designers have the skills to achieve intent i.e build happiness, interactivity, acoustic comfort, or light into a space. 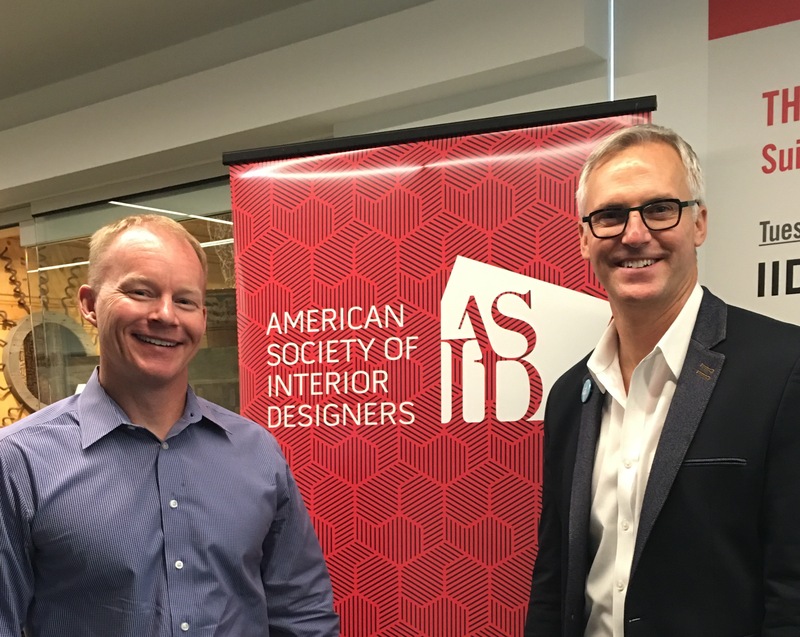 Aside from building up their glutes at Neocon, ASID’s goal is to connect with the design community. They use these communities to announce their up and coming events and messages. First off, they have an amazing example of workplace design at their new HQ. It is the first LEED and WELL platinum office in the world and they are doing pre/post-occupancy research and case studies on how the design improves productivity, engagement, and attention in staff. The second announcement is the merger of ASID’s magazine Icon (comes out 6 times a year) combined with IDC ‘s D Magazine. The name is still to be determined so SEND IN YOUR IDEAS. ASID will be holding a brand new Leadership Experience conference in San Diego for emerging professionals consisting of 300+ people representing ASID chapters and 300+ people doing leadership skills (leading one’s self, team or practice). Leadership isn’t a skill we’re trained for in design school so here is the opportunity to learn how to be one. Lastly, Platform is their other brand new retreat for principals, partners, and owners in Victoria, BC. They will have keynote speakers outside of the design industry with conversations in between discussing how to change practices or run businesses accordingly. 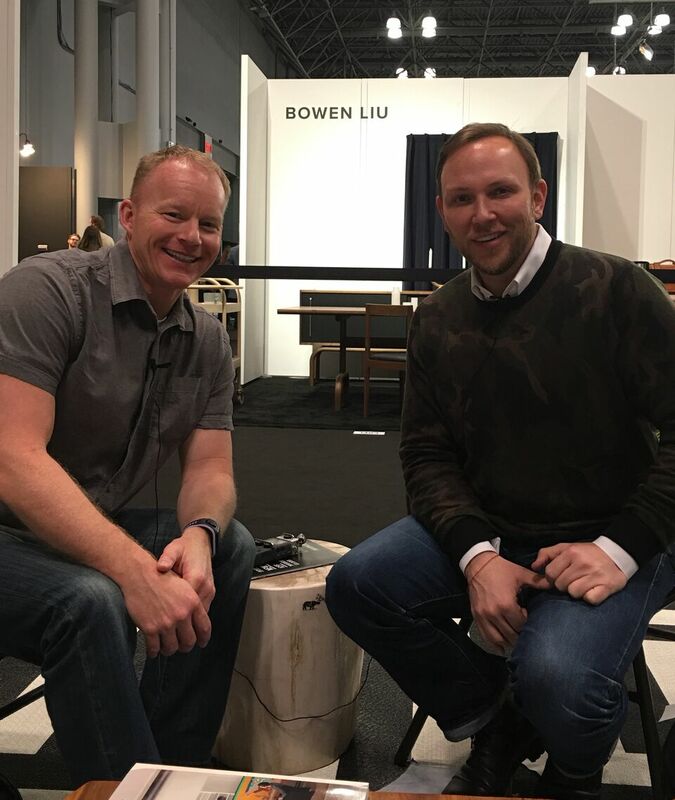 On this episode of The Lounge, Nick meets with Chad James at ICFF NYC to talk about long time client, friend and country singer-songwriter Luke Bryan; PR; and Chad’s progress since their last interview about a year ago. It’s Chad’s first time at ICFF and he is very excited about the unique vendors and getting small glimpses into each one’s best work. Later, Nick talks to Shell Broadnax of RESA who will be speaking at Las Vegas Market about whether or not you might want to become a home stager. Special thanks to Benjamin Moore for making this week’s show possible. 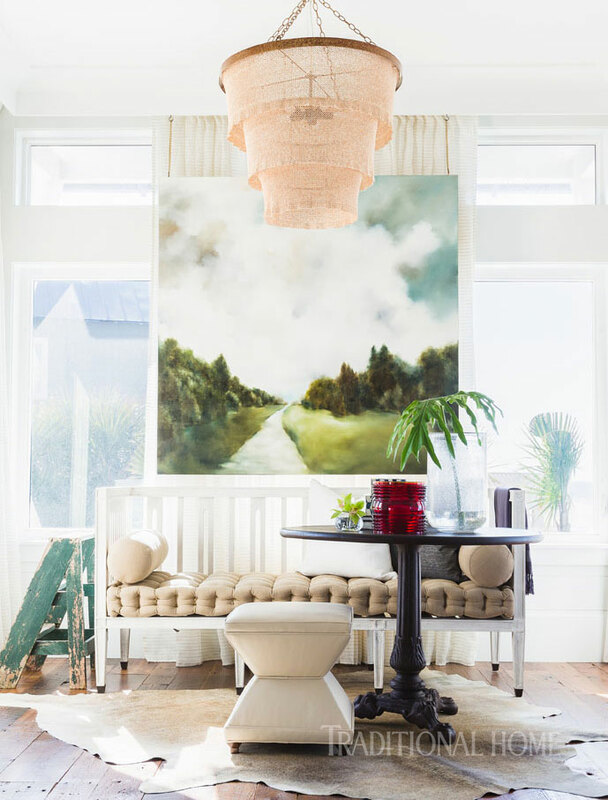 Walls By Design exclusively uses Benjamin Moore paints which can be bought online at Guiry’s. This week in the office we did a paint test between Benjamin Moore and Sherman Williams‘ four lowest end products, as they’re the most commonly bought paints. Hang tight for a link to the video on the Walls By Design Facebook. Also, Lindsay Paoli of Design Manager just featured us in her article, 11 Binge-Worthy Design Shows That Aren’t on HGTV, which talks about the top design movies, TV shows, books and podcasts to check out this summer. Design Manager is the best way for your business to stay organized, get rid of spreadsheets and Microsoft documents, and put all your projects, accounting, and inventory in one place. Currently, Chad is on a 12-week travel schedule so he hasn’t spent much time at his home in Nashville, Tennessee. When he does make it to his lakehouse though, he enjoys wake surfing from his boat. Chad is always very private about who he works with but once a client’s project is published, he’s able to talk about it. 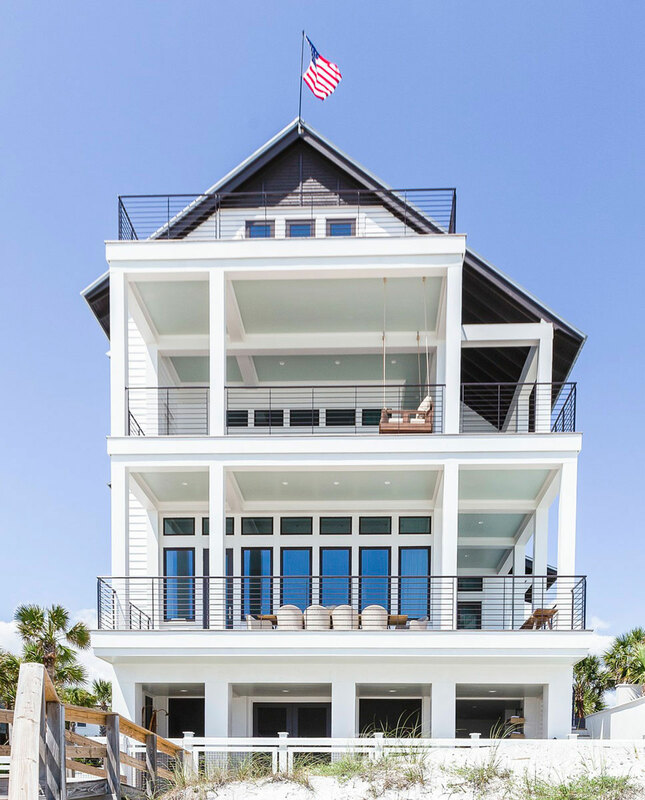 Two years ago he designed Luke Bryan’s Florida beach home and recently, his work was picked up and put on the cover of Traditional Home, so Nick dug in to learn all about it. Check out the article here. His photographs (featured below) were done by architectural photographer Alyssa Rossenheck who will be on the show this month! Chad gives us some insight into the pros and cons of PR in the interior design industry and how he is able (or unable) to get his work out there. He tells us, after spending so much time on a beautiful project, often times the only people who get to see and enjoy it are the homeowners. From the very beginning of a project, he and his client talk through his photographic rights and come to an agreement about what this means. He will always respect a client’s privacy even if he is disappointed he doesn’t get to show off his work. His firm never talks about a project due to the fact that with social media and digital press, information spreads quickly… no one wants what they’re doing and spending to be in the public eye. All of his employees sign a confidentiality agreement. Occasionally though, he get’s to take photos of a project and send it out to multiple avenues in order to see who will ‘bite,’ just like with Traditional Home and Luke Bryan. Last time Nick and Chad chatted, at Highpoint, he told us that he hired a PR company to encourage his business and his work. Before that, Chad just kept his head down, took pictures, put them in his portfolio, and that was it. He never was a self-promotor so his PR took away the burden and discomfort of having to promote himself. Now, he’s has participated in speaking engagements and has traveled to Italy, to Paris, and all over the U.S. His PR handles all online and print media, gained him name recognition, and created a BRAND- the only way to make your business grow. Lastly, Chad talks about his new house, which he closed on his birthday, but is only just now starting to design the space. He has decided to publish his home when ‘s finished because this house is very different than anything he’s ever done before – it’s contemporary! He describes it as a ‘modern box’ and so, he wants to let his pendulum swing in the other direction and show off this new side. Chad predicts that after a 7-year span of bright, light and crisp designs, we are now returning back to warmer darker palettes with brass and rich luxurious fabrics, color and interiors. Learn more at chadjames.com, follow @chadjamesgroup on Instagram or Chad James Group on Facebook. Shell is our first guest of many who will be speaking at and participating in Las Vegas Market‘s special events. Shell joins us from Valley Springs California. Her favorite place to vacation is in the mountains but she admits she’s a workaholic and hasn’t taken enough time off to get to them. Her inner cowgirl informs us that spurs and her belt buckle are her favorite fashion accessories and a recent book she has read and recommends is It’s Not Who You Know, It’s Who Knows YOU! by David Avrin. Nick loves marketing books and also recommends, Marketing Outrageously. Shell founded RESA in 2007 but is NOT a home stager. She loves all things staging but actually doing the staging is a whole other story. She says that it’s a specific kind of creative balance between the right the brain left brain that she just doesn’t have. What she did love doing were the sales and marketing but couldn’t find a partner to do the rest with her. So instead, she founded RESA: a trade association organization that brings together stagers. Her platform allows all different types of stagers and business models to come together as one support group. Her talk in Las Vegas will be about why you should or shouldn’t ever start in the business of home staging; it’s for some people but definitely not for others. She wants to save the juicy details for the event, but she does give us some insight. The main point she’ll drive home is that staging and design work are very different business models. If a designer wants to get into the business, they do have the design aspect going for them but people often make the mistake of overdesigning. It’s not a not personalized home, but a marketing strategy. The main goal is to merchandise your asset. Find Shell on August 2nd from 10:30-11:30 at her event, “Staging to Sell, Is This The Career For Me?” in the Building C Seminar Room, C174. Learn more about the event here. Let us know if you are heading to Vegas as it’s coming up quickly! Nick is going LIVE at 4 pm PT every day of Market with Barry Livingstone, his very first guest on the show, Kelli Ellis, Christopher Kennedy and Dann Foley. There will be wine and it WILL be a good time! On this episode of The Lounge, Nick joins us from ICFF New York! He speaks with Heather Wood, the marketing manager for ICFF, and Ethnicraft CEO and founder Benoit Loos. Nick welcomes back Benjamin Moore as our sponsor. He has almost exclusively used their paints for his painting businesses since the 90s. Also joining the team as one of our sponsors is Benchmade Modern! Edgar Blazona joins us to tell about his efficient, online, custom furniture company…that’s affordable too! 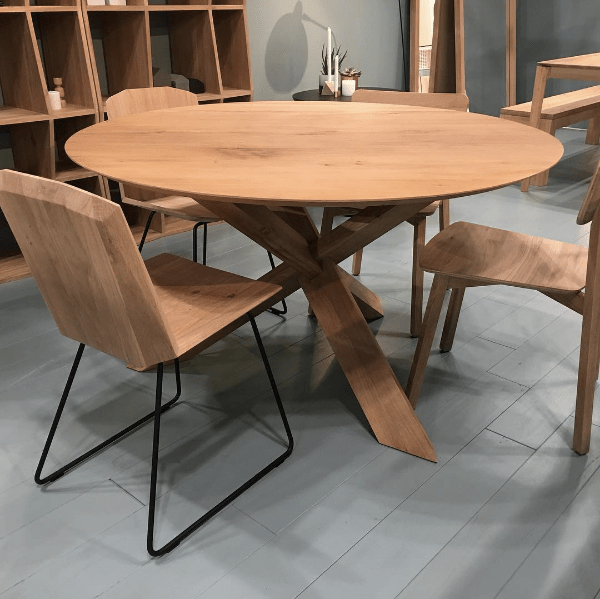 This year ICFF NYC is over 155 square feet filled with international exhibitors (750+) from Spain, the Philippines, Scandinavia, to Austrailia and Belgium. It is their 29th year in New York and 2nd year in Miami. ICFF Miami runs from October 3rd to October 4th at the Miami Beach Convention Center, and is currently 200 exhibitors and growing. There are many challenges that Heather faces running an international furniture and design show. International shipping and setting up exhibition spaces are among the most difficult, most problems and questions have to do with logistics. There is a LOT to take care of in making sure everything runs smoothly for each exhibitor, such as managing press and media, shipping policies, language barriers, and networking. A large role Heather also plays is managing the attendee database, ensuring that all the high profile designers, architectures, manufacturers, and buyers attend. Being in marketing can be a catch-all position but Heather’s primary focus is to deliver rich content to the attendees. ICFF is a huge investment so she needs to make sure everything runs smoothly for both the exhibitors and the attendees, and that they all get everything they need/want out of the event. New York has approximately 40-55,000 interior designers residing in the city, making it the largest concentration of designers in the world, so the main attendee market for the show is New York designers. Heather’s main marketing focus is print, digital, advertising, and social media (which is #1). This day in age (in the millennial era), Instagram is a very popular marketing source -everyone uses it- so it’s a great way for ICFF to receive gratification and respect. They can do sneak peaks and Instagram takeovers like they’ve done with Dorothy Mack and Jefferey Johnson. Check out their mix of contemporary meets classic at their handle @icff_nyc. Edgar joins us from his Mission District showroom in San Fransisco. He got started in the furniture business right out of high school, growing his own company. Edgar didn’t have enough money to buy furniture so he decided he would make it himself. A woman at a local gallery like a piece he made and wanted to sell it for him so he dropped it off on Friday… and voilá! It was sold by Monday. Edgar realized that it would be a long road ahead of him making furniture at a small scale so he stopped to work for The Pottery Barn. Here he learned about manufacturing on a much larger scale which helped kickstart his brand and his career. Edgar then started his company True Modern which grew to its current size today and is sold through brick and mortar and online retailers. Then 3 years ago, he decided he was tired of hearing stories about how it took 15 weeks for customers to get furniture and by the time it arrived, they didn’t even like it. Thus, Benchmade Modern was born! Made to order, custom furniture in every shape and size that arrives in 7-10 days with 75 styles, including limited run fabrics at a great value. They make everything from 35 inches to 10 feet and you can use a sliding scale on their website to pick your size and see the price. And it’s all made right in California. Their aesthetic is no more modern than a boutique like Design Within Reach but they also want a mass appeal similar Crate and Barrel. So they meet somewhere in the middle. Benchmade modern makes buying furniture easy. Edgar calls them the Warby Parker of online furniture except that delivering a sofa is a much bigger challenge and process. So, his goal is to take away the hangups of ordering furniture online, by sending out swatches, photos, and samples. You can even receive a printed out life size, full-scale version of your sofa to layout on the floor and sit on, in order to ensure it fits the room and amount of people you want on it. This experience shows you that they offer a good quality product and reflects the experience the customer will have with they actually decide to buy. Edgar also claims they have the #1 best sofa bed ever made EVER so check it out on their website here. Benchmade Modern offers a 20% off code to the trade and a discount to customers who order in large quantities. They support the interior design community by creating a product that can be designed and modified with ease of buying online AND it’s 30-50% cheaper than having custom made furniture built for you. At the bottom of the page, there is a Trade Program button. Fill out your info and then you will get the discount code and swatches to use to take to your clients! Ethnicraft is a company out of Belgium and joins us from their 2nd time at ICFF NYC. Their goal at the event is to connect with and see the reactions of the designers and architects (to their products). Even though they are based in Belgium they manufacture three different wood species in Indonesia (Teak), Europe (Oak), and the U.S (Black Walnut). Ethnicraft might buy wood in the States, ship it to Vietnam or Serbia to be manufactured and then ship it back to the states to be sold. A huge operation! Benoit started the company 20 years ago with his copartner Philippe Delaisse. They were an accountant and an IT tech who’d been traveling and collecting various ethnic decorations from Bali as well as old Japanese cupboards. At the same time in Italy, they saw the clean contemporary style happening and had the idea to combine it with the authentic materials and wood they had bought. Two years later they began designing and making products. Today, they do their own distribution and recently set up a warehouse in High Point (and showed at the Spring Market for the first time). It hasn’t been difficult to sell to the U.S as Americans who visit Paris fell in love with them there. Ethnicraft is in the middle of doing 50 shows all over the world in places like Paris, Stockholm, Mulan, Singapore, the Netherlands, the UK, Spain, High Point, and NY. At these shows, they evaluate competitors and customer responses. Benoit says that they see sales go up immediately from these events but they also help down the road and in the long run too. Customers have told him that they found out about Ethnicraft from a show they did two years prior. Benoit tells us how important it is to reach the right customer and make a mark on them. Their natural, contemporary, high-quality wood is priced at a great value with 2-meter pieces (roughly 6.5 feet) priced at $3,000. Ethnicraft targets hospitality and only does customization for large products. Their residential sales are directed to retailers and not sold online. You can locate a store on their website using the Store Locator page. In new york find them at ABC showroom. On this episode of The Lounge, Therese Virserius joins Nick at Porcelanosa in New York to talk about her design business. She may have started out in law but today she is a multinational interior design business owner, there’s nothing unlawful about that. From Paris, Montreal, Berlin, to Brussels, Tunisia and New York Therese designs for hospitality all over the world. Therese’s favorite fashion accessory is bracelets. She doesn’t have a favorite restaurant though because it honestly just depends on her mood and the weather. Home is Sweden, even though her offices are in New York and Paris, and truly she just loves all things Italy. Her friends might agree that wine is her drink of choice, whether it’s a light red or a Sauvignon Blanc. Therese travels 50% out of the month so its safe to say she’s a busy woman, but one place she’s never designed in is the Maldives, and she would love the opportunity (hint, hint). Therese never thought she would be doing interior design or end up in New York because her background is in law. When she was young, Therese was very interested in Asia so she left Sweden for China to get a BA in Mandarin. In China, she strictly did management and logistics for IKEA but soon began oil painting and having her own exhibits in Shanghai. Therese wanted an outlet to express herself, even more, so she opened up a store for product design. Her drawings were brought to life and made into products. She created anything from silverware to glassware, candles, fabrics, and napkins. After 3 years of chaos in Shanghai, Therese moved to New York and went back to school at New York School of Interior Design to get some formal training. She worked and interned for Jeffrey Beers where she was tossed directly into the hospitality fire. Her first project was to renovate The Westin Fort Lauderdale. The clients who come to Virserius Studio are ready for a change. When sourcing she looks for slim, delicate lines, but must remember hospitality pieces have to be durable. She wants products that could stand alone in an empty room and still ‘wow’ you. Her style is eclectic, and she enjoys mixing colors and patterns. Therese’s New York office houses 13 people, from architects to designers, and her Paris office is more quaint with only 4. Therese often finds herself wishing she could be in both offices at once as meetings can sometimes overlap. Time is her biggest challenge – since she’s always traveling back and forth. Therese doesn’t micromanage her team as she believes they should be able to run without her. They need the freedom to be creative and let their minds flow on their own, but she also doesn’t want them to feel alone, so she checks in multiple times a day. Her role is to make sure the ship doesn’t go off course, make life easier for her designers, and make sure her people are happy (both clientele and her team). Dealing with bookkeeping and accounting are her least favorite task but she knows it is a necessity to be involved. Therese doesn’t have a favorite space to create because the experience of staying in a hotel is a journey. It begins when you enter and ends when you leave, so you must tell a cohesive story. They’re also repositioning a hotel in Tunisia to change the way it operates and facilitates. For example, adding in a sky lounge and move the presidential suite to a different location. She tells us the creme de la creme stay in this hotel, so no pressure. She also collaborates with students to do artistic expressions in hotels like in Hotel Bloom. At any given point, she is working on 10-15 at a time. We’re gearing up for High Point Market fall 2018. Stay in the loop on our Instagram and Facebook pages. 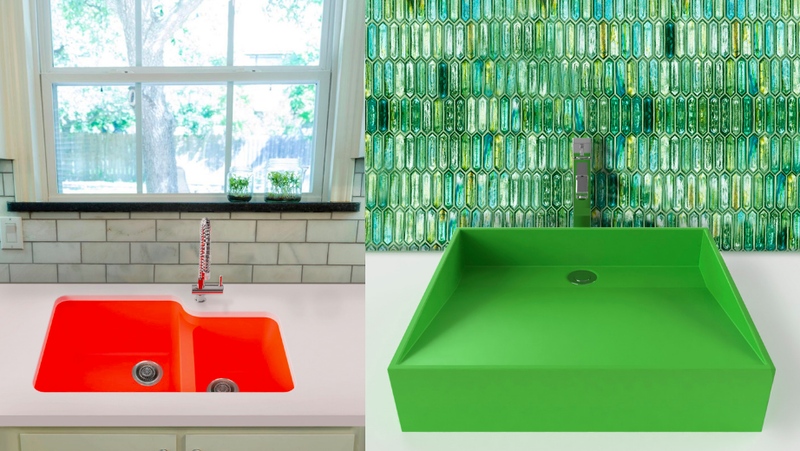 On this episode of The Lounge, Kim Vance of Whyte and Company joins us from Dallas to talk about creating color in a whole new way: in sinks! Kim discovered a niche that didn’t previously exist and then filled it by manufacturing colorful sinks. Nick and Kim originally met at ICFF. Kim didn’t have any sort of background in plumbing but was actually a marketing person. One day she and her girlfriend started talking about how fun a colorful sink would be and googled ‘purple sink’, but nothing came up! Unless it was glass or old, a purple sink was nowhere to be sold in the USA or in Europe. Kim pondered why we can order a spatula from Amazon and receive it on the same day, but we can’t buy a purple sink. The sink industry’s colors were so limited that they were essentially black, white, gray, beige, beige, and beige. So why was no one doing it? Kim decided to take matters into her own hands. Now for the first time in 40 years, color is taking over plumbing in over 30 standard colors, but this time in an updated, clean, European inspired look. And people are ready for it. Not only do designers LOVE it but the clients are reaching out to designers because they HAVE to have it. With no plumbing background, Kim had to learn all about sinks, sink manufacturers, and all of the who? what? where? when? how? questions of the sink industry. Today, she can’t believe how fun product design really is and loves inventing amazing colors with her “colorista” team (including Kerrie Kelly, and Michel Boyd). Originally, Kim dove right in and began manufacturing in Mexico but after realizing how important quality control is, she moved her team to the U.S. All of the sinks are made to order with only a 4 week turn around, and while there are standard designs and colors, Kim says,”if you can dream it we can make it.” Custom is the word. If there are quirky spaces and niches to fill, she can do it and at the SAME price point. The solid surface material that they use is so malleable that it costs the same to manufacture, meaning there’s no upcharge on them or YOU. Their style suits contemporary to transitional. The hardest thing early on was figuring out the properties of the materials. Making sure they are durable and won’t chip was very important to Kim, so she had to figure out what could and couldn’t be done with the materials from both a color and a design perspective. Kim tells us that the color white is the encapsulation of all color- she wanted a name with meaning that felt relatable. Growing and getting your name out there is definitely a challenge. She was nervous about being able to sell color to the clients and not just to designers, but clients have been the ones most excited about it. A lot of people find them through Instagram. Breakfast at Tiffany’s is Kim’s favorite color, it’s the first color she fabricated and a customer favorite. The most sought after color though is Sweet Plum by Lisa Escobar which is very popular for small urban spaces. Shay Blue is a cobalt blue and also very popular. Blush is the most requested sample, and not just for kids spaces. Whyte and Company have only been selling since January so 6 months in, it’s still early. She’s thrilled that people are stopping in their tracks at the showrooms to look at the sink. People are very excited about using color and having another dimension to it. No one can compete with it! People are actually getting excited about plumbing, who knew that would ever happen? Kim’s advice? Don’t install these sinks in your bathroom if you don’t want everyone who goes through to take a sink selfie. Whyte and Company sell to the trade, so not directly to clients, but they are carried by build.com and you can go to their website and apply to be a member of the trade. On this episode of The Louge, fellow podcaster and interior designer, Betsy Helmuth joins us to talk about Affordable Interior Design and how to design your own home on a budget, at your leisure. 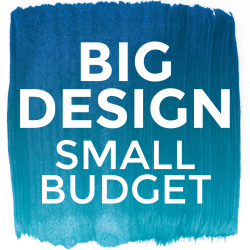 Her podcast, Big Design, Small Budget runs every Tuesday and is available on iTunes where she spills inside tips on design and how to do it yourself. Betsy waits all week for her Saturday night tradition of going to Outback Steakhouse with her family and ordering a martini. She recently became a suburban mom, moving her life to from NY City, where her business began, to Westchester. Her business has expanded from Manhatten to the suburbs and now, across the globe online. Besty’s company only consists of 5 designers and 2 handymen yet they get 8-15 new clients every week, and design 500-700 spaces a year! They’ve worked with everyone from hoarders to billionaires. What makes Affordable Interior Design, affordable, is offering flat rate plans that tell clients exactly what to do and buy, so they can execute it on their own time and at their own rate. The whole process only takes 6 hours! 2 hours are spent meeting in person or online, 2-3 hours are reserved for the designers to ‘shop’ online and build a mood board, and the last hour is to meet back up on the phone to look at and tweak items. All that is left is for the client to execute the vision! Now they can budget accordingly. 90% of Betsy’s business consists of this plan that clients implement on their own, but they do offer packages where the designers do everything as well, it’s just more expensive as you have to pay for their time. Betsy never spent a lot of time on advertising, if any at all, as her name advertised for itself. If anyone googles “affordable interior design,” her website pops up. Which, is exactly what the user is looking for. Then her reviews, referrals, history, and designers’ degrees and high-end experience leads people to stick around and use the service. Recently though, for the last 3 months and for the first time in 10 years she has started marketing and hired people to help. As the company grows and more designers are added to the team, she wants to make sure clientele is still growing also. Betsy has an impressive repertoire of PR but has never paid for any of it. Each exposure has its own story and some were as simple as a Google search. Find her on the Today Show, the Wall Street Journal, LifeTime, NBC, CNN, USA Today HGTV, the DIY Network and more here. Betsy shares with us that TV exposure doesn’t really translate to clientele at the time, but instead, after the fact it gives credibility and interest. A lot of marketing is about good photography and Nick tells us his secret hack on how to get high-quality pictures for cheap. Betsy’s had her podcast now for a year and a half now. She believes that knowing how to design is a right, not a gift. You shouldn’t have to hire someone. The principals of design can easily be learned by anyone, you don’t need a magic eye. Betsy is passionate about giving away her design secrets and imparting everything she knows on others. You have to live in your home, so you should be comfortable doing so. Betsy also tells us how she got started in the podcast world and how it has helped reach and boost her online platform which includes design classes, design packages, and her book. Of everything, Betsy loves that the items she chooses can really make a difference in people lives. She tells us that she truly believes furniture can change people’s lives.